The new Samsung Galaxy S7 and S7 Edge are destined to be one of the top smartphones released this year. Both handsets bring just the right amount of improvements over their predecessors and feature the fastest mobile hardware money can buy. If you're considering either of these high-end handsets or happen to be unhappy with your existing carrier, now might be as good a time as any to consider making a move. From now through March 31, AT&T is offering up to $650 in credit to switch from a competing wireless provider. To take advantage of the offer, you'll need to activate a new line of service and buy a phone using the Next installment plan, port your number, and trade in your existing smartphone via the AT&T Buyback program. Once you've made the switch, you'll simply need to provide AT&T with a copy of the final bill from your previous carrier. After eligibility requirements have been met, you'll receive a pre-paid Visa card in the mail based on the amount of your early termination fee or device payment plan balance from your old provider minus the value of the smartphone you traded in which will arrive as an AT&T credit. AT&T is also running a buy one, get one free (BOGO) promotion on nearly a dozen of today's hottest handsets including the Galaxy S7 and S7 Edge. 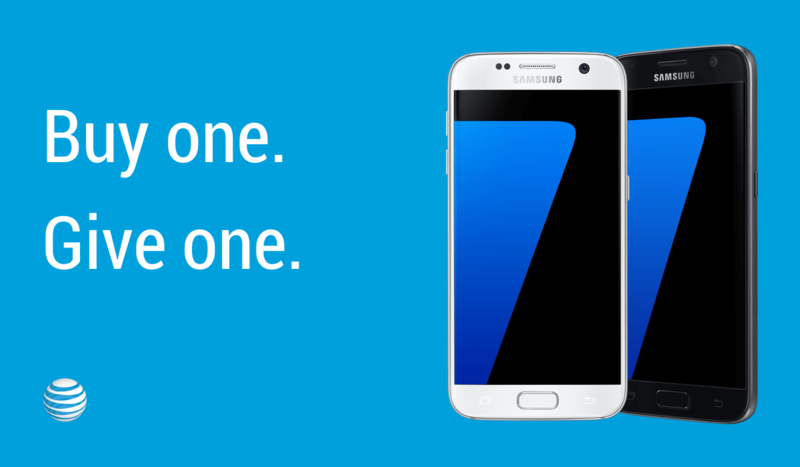 To snag a free handset, you'll need to buy both using AT&T Next with a qualified service plan. After three months of service, the line with the free phone will begin to receive monthly bill credits totaling up to $650 over the life of the installment plan resulting in a free phone. No promo code is required for the BOGO offer; simply follow this link to get started. This offer is good for both new and existing customers, AT&T says. Best yet, the two promotions can be stacked meaning you can get up to $650 to switch to AT&T and score a free handset when you buy a new one. And don't forget, Samsung is also offering Galaxy S7 buyers a free Gear VR headset for a limited time, so be sure to take advantage of that as well!